Do pull-ups, push-ups, sit-ups…all in the comfort of your room with the Door Gym. All you need, besides the Door Gym, is your own body mass, gravity, and a doorway with trim. The LightWedge Reading Light is the ONLY way to read when it's dark! A Different Kind of Book Light The LightWedge is an efficient book light with a streamlined design. Since the light is emitted directly onto the page, there’s no excess reflection to disturb others nearby. The LightWedge is thin and lightweight. The term ‘douchebag’ is often thrown around loosely in today’s society. However, we at OTD strongly feel the term fits perfectly with anyone who attempts to wear the Snuggie anywhere other than the privacy of their own couch with absolutely no one around (even pets) with the blinds shut tight. Durable, ultralight stainless steel construction Slim design fits most bottle holders Toxin-free and non-leaching. 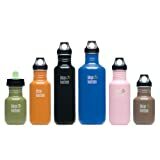 Klean Kanteen water bottles are made from #304 stainless steel, the material of choice in the food processing, dairy, and brewery industries. The Samsung LN52A650 52-Inch 1080p 120Hz LCD HDTV with Red Touch of Color is the big screen TV of the year. It’s highly rated everywhere on the Internet. It’s loved by the Cnet contingent, and the OTD administrators. Anoint Yourself "The Pumper": Get this Touch-Free Soap Pump! Hand it to simplehuman to revolutionize the way we wash our hands. This soap pump uses a sensor to automatically dispense soap into your hands, then starts a 20 second timer that blinks when they’re nice and clean.